I have applied for the Design Team at 2 Sketches 4 You. In order to apply, I needed to create one card off of each sketch by Laura and Kazan. I wanted to share my two cards with you. The first card is based of the sketch by Kazan. 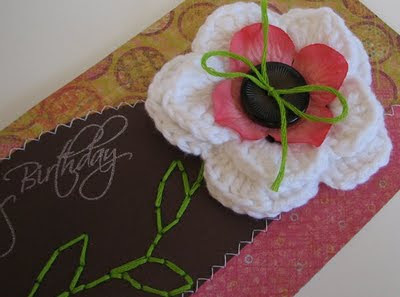 I crocheted the white flower for this card myself. 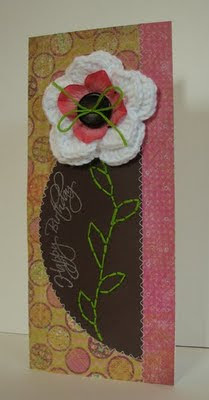 I also used the Bazzill In Stitch'z templates for the stem and leaves on this card. This second card is based off of the sketch by Laura. 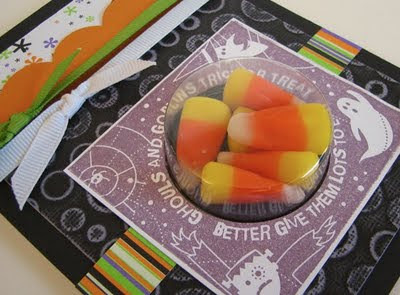 I used the sweet treat cups from Stampin' Up! 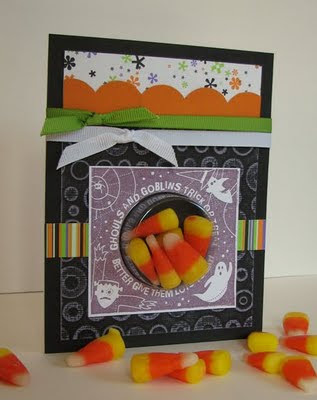 for the candy corn on this card. I hope that you are having a frightfully good weekend!! Awesome cards and good luck!! These are great Amy--esp love the crocheted flower!